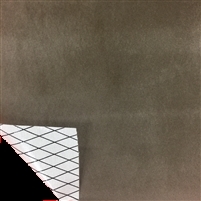 Dimension-Polyant is the world's leader in producing high-strength, high abrasion resistant, waterproof laminated fabrics. 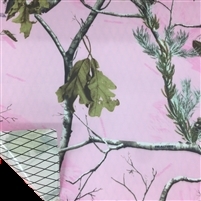 Rockywoods carries a wide variety of Dimension-Polyant fabrics and colors. 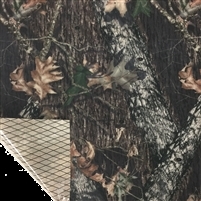 Using DP's exclusive sailcloth technology, the X10 combines natural cotton duck with their signature X-Ply™ reinforcement and 100% waterproof polyester film backing - no PU coating to leak or peal off! Get the feel of classic cotton with soft hand, and the reassurance that your gear will always stay clean and dry. Sold per meter. Duties and VAT included. Multiple meters are cut as 1 piece. VX03, X-Pac™ 30 denier, laminated fabric, is the most popular lightweight high performance pack material. The combination of X-Pac™ Ripstop Polyester, Hydro State waterproof construction technology. Sold Per Meter. Duties and Taxes Included. Multiple meters cut as 1 piece. Sold Per Meter. Duties and taxes included. Soft, quiet brushed face, with woven back laminated with X-Pac™ Ripstop Polyester, Hydro State waterproof construction technology. Can be used to make backpacks, bags, upholstery, or decorative items. Approximately 132 cm 52 inches) wide. VX04, X-Pac™ 40 denier, laminated fabric, is the most popular lightweight high performance pack material. The combination of X-Pac™ Ripstop Polyester, Hydro State waterproof construction technology. VX07, Standard X-Pac™ 70 denier, laminated ripstop fabric, is one of the most popular lightweight high performance pack material. Sold by the meter. Duties and VAT included. Multiple meters will be cut as 1 piece. Our laminated, waterproof, tear-resistant tent fabric at just 108 gsm (3.2oz/sq yd) is the ideal fabric for reinforcement fabric for high-load areas. 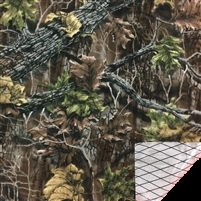 X33 uses a 330 denier CORDURA® nylon printed in standard MultiCam camouflage. The combination of X-Pac™ Ripstop Polyester, Hydro State waterproof construction technology, and 330 denier nylon fabric face provides an extremely abrasion resistant, waterproof, tear resistant fabric. VX25 is the high visibility version of VX21. The combination of X-Pac™ Ripstop Polyester, Hydro State waterproof construction technology, and 250 denier polyster fabric face provides an ideal balance of color longevity, weight and durability.